Frank Underwood is all about the long game. From the first moment he confidently addresses the audience in season one of “House Of Cards”, oozing with the southern charm of a slithering snake oil salesman, it’s clear that Frank has a way of getting what he wants. What I like about “House Of Cards” is how the show makes him, as well as the audience, wait to get there. It’s obvious that Frank is not content with just having a seat in Congress. He has bigger plans and higher offices on his mind. Rather than dilly-dally with the whole election process, Frank Underwood would rather come up with a plan to manipulate his way to the top. It’s more fun that way, after all. There’s a master plan going on in the background of “House Of Cards”. Every conversation Frank Underwood has is layered with a deeper meaning. Every relationship he has exists for a greater purpose. A lesser show might have Frank win time and time again. It might lay out exactly how he plans to get to the top of the Washington food chain. It might have him stumble his way backwards into power. The fun part of “House Of Cards” though is that it’s not always clear how all the puzzle pieces will fall into place for Frank to get what he wants. You know in the end that he will – he has a plan after all – but you can’t always see exactly how he’ll get it done. Now don’t get me wrong. Frank Underwood is harsh. He is under-handed. You could argue that he’s downright evil. But Frank Underwood has a plan. And he sticks to it, despite what life and the government throws in his way. Frank uses every meeting, every machination and every manipulation to get to what he wants, even when it doesn’t mean getting it immediately. Frank realizes good things come to those who wait. He knows his long term goal of stealing the the most powerful office in the country cannot come overnight. Even when his inner circle complains about the momentary setbacks they see in front of them, Frank Underwood sees the big picture and trusts in the plan. I think too often we act like the periphery characters on House Of Cards. We cry and complain and lose hope because of where we are in the story. We fail to have faith in The Plan. There is nothing in our lives that is left to chance. There is nothing that happens apart from God’s Master Plan for our lives. It’s easy to doubt The Plan when we run into opposition. Sometimes we face moments where we can’t possibly fathom our stories having a happy ending. That’s because our stories are supposed to be dangerous, challenging, exhausting, nerve-wracking all the way up to the very conclusion. All the great ones are. If we are willing to stay faithful to The Plan, if we hold out hope that something greater is going on in the background, that all of the moving pieces in the background are shifting to something wonderful, then at the end we will see the incredible results of a life lived in faith. 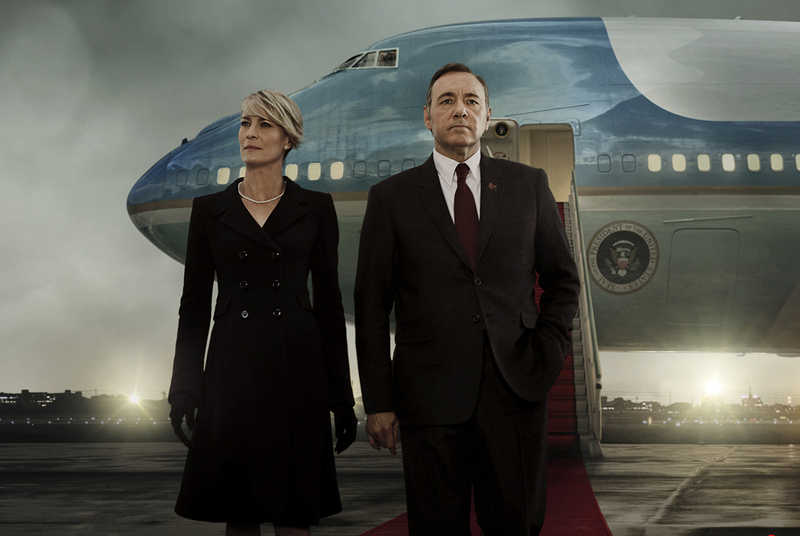 A lot of “House Of Cards” fans compare Frank Underwood to Satan himself. I can’t blame them. This is not a post trying to redeem the villainous politician. I’m just wondering: if every Christian could have as much hope in God’s plan as Frank Underwood has in his own, could you imagine the places we could go? Have the faith today to see beyond where you are and look to where you’re headed when you stick to The Plan.